With Real Rose and Sandalwood as main ingredients, this product consists of incense sticks for general purpose. One of the better ways to bring the nature’s natural aroma into your living place is to burn these incense sticks and to create the moment to rejoice. 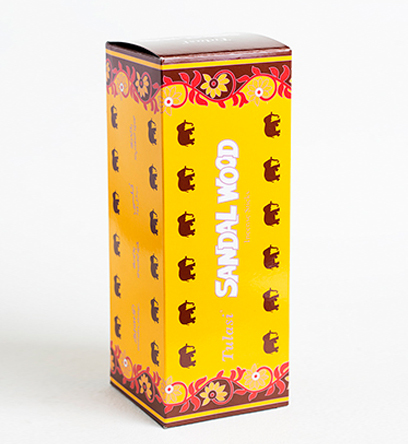 Tulasi Pure Sandalwood Incense has 8 sticks in each pack and the box consists of 25 packs.